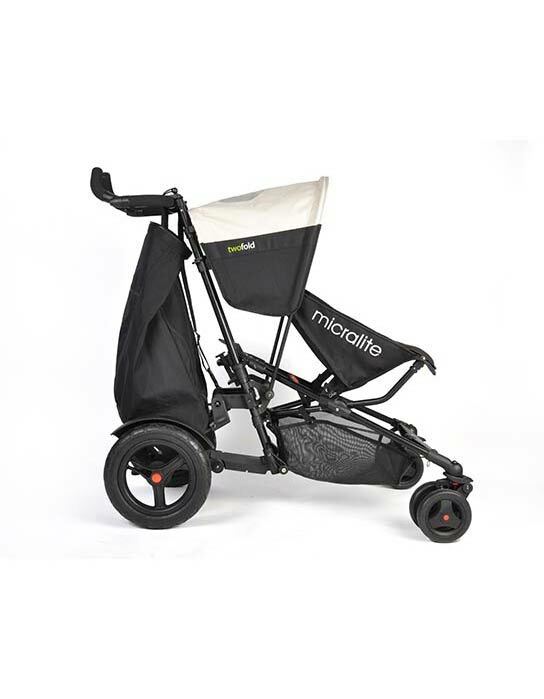 The Micralite Twofold is a revolutionary pushchair that grows with your family from one child into a pushchair capable of carrying a newborn and toddler; two toddlers or a toddler and an older child standing on an integral platform at the rear. 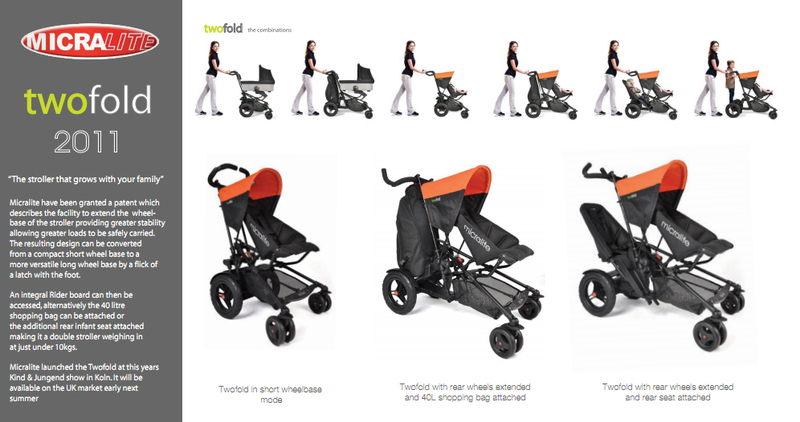 The Twofold has an optional 40 litre shopping bag, and can take a car seat or carrycot. 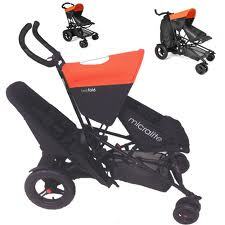 The Micralite Twofold is light, small when folded and should be able to cope with multi terrains. 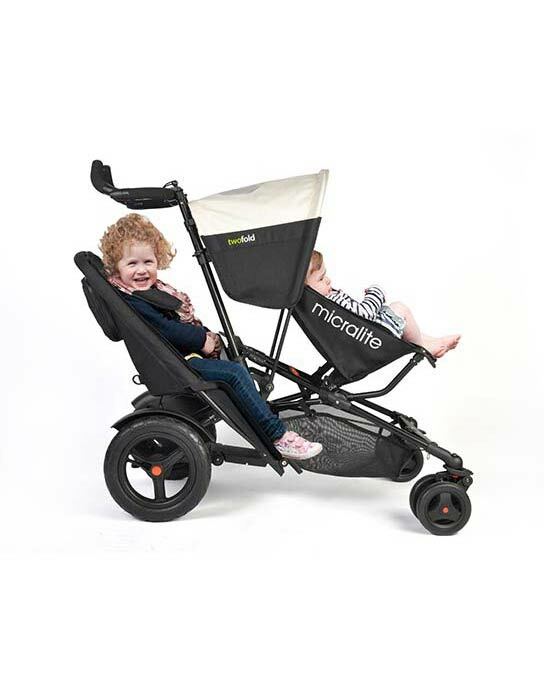 The Micralite Twofold should truly carry your family through all the different stages of one or two children with options for a newborn, toddlers and an older child. Lightweight. All terrain. 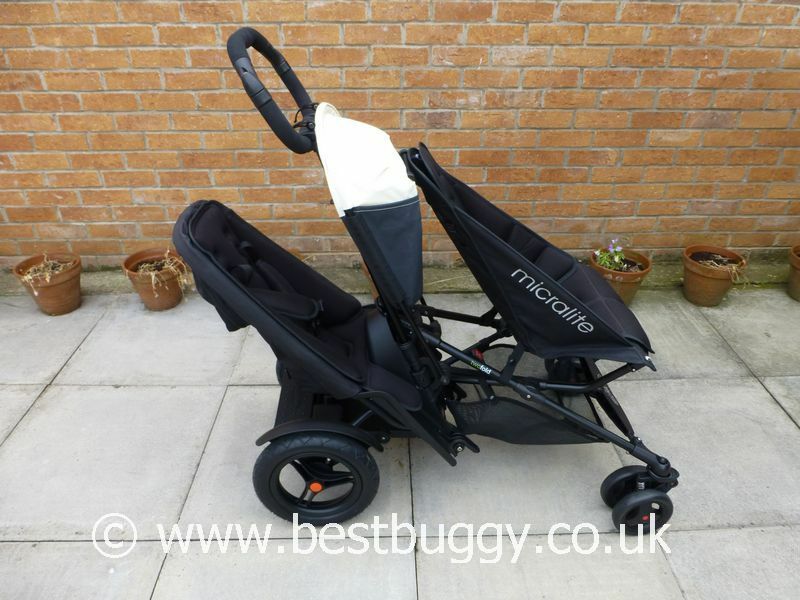 Carrycot and car seat options. 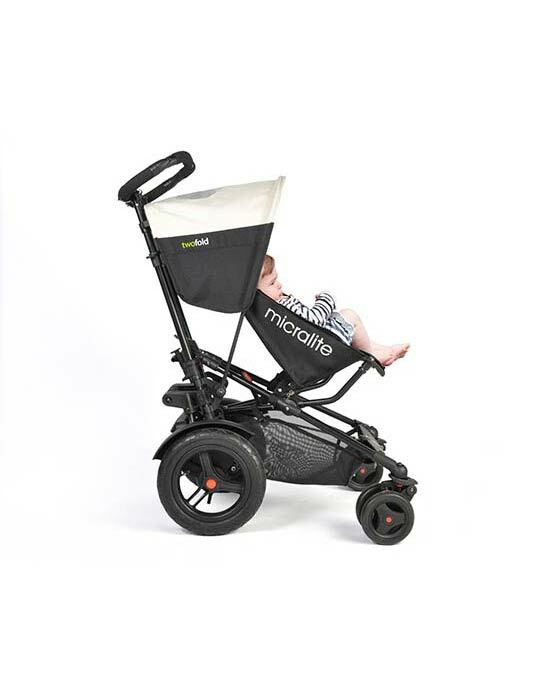 The chassis extends to be neat and compact for one child or extends for the addition of the second seat or shopping bag. 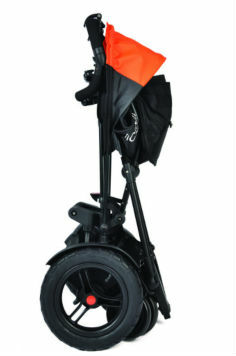 Integral standing platform which is very easy to flick in and out at whim. 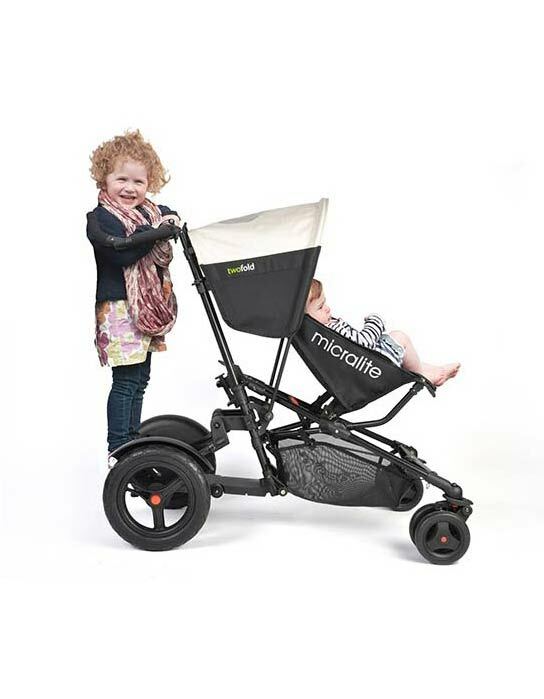 The rear child's feet are not in the basket so this can be fully utilised. 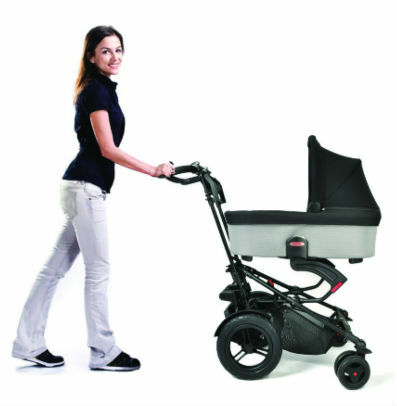 Difficult to get up kerbs or small steps. Basket access is poor. 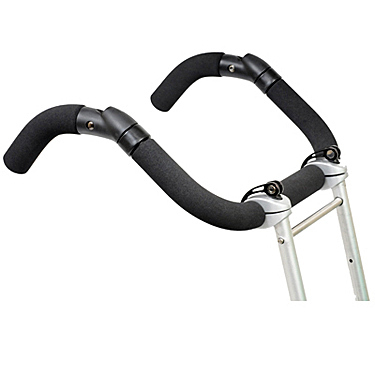 Handlebars need setting up each time prior to use. 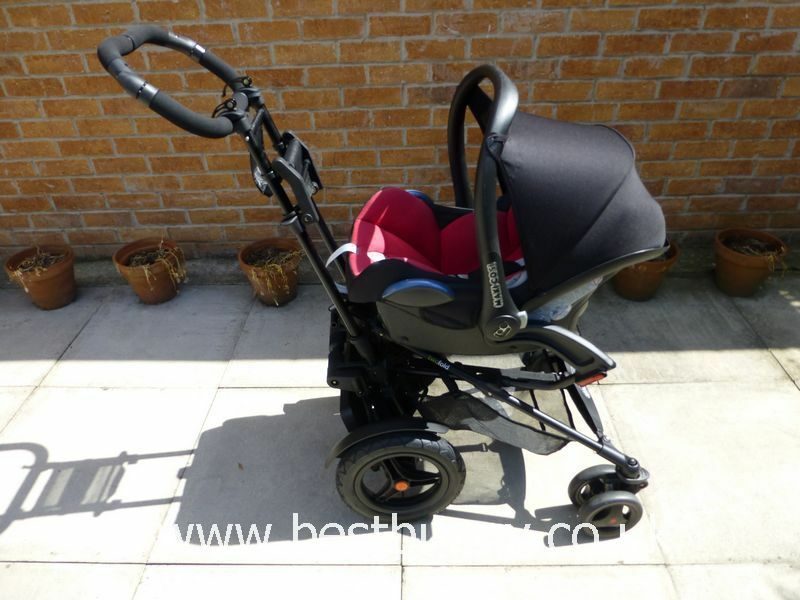 15kgs in either the main or rear seat. 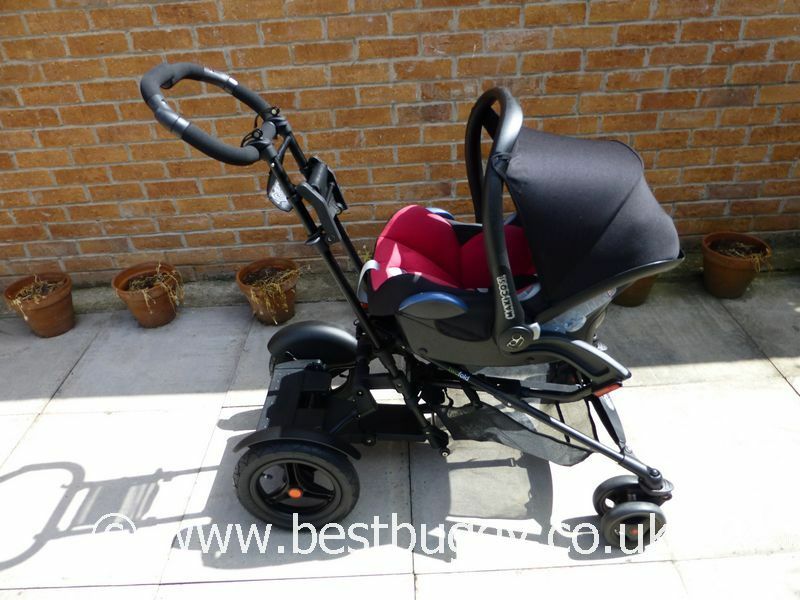 a one-seat, short wheelbase stroller with either seat, car seat or carrycot. 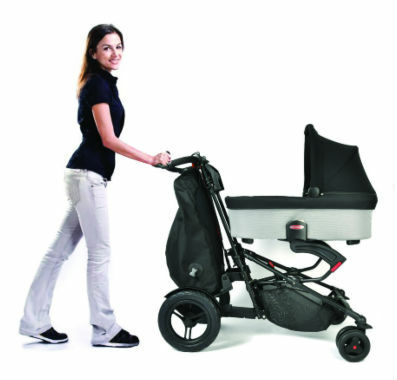 a one-seat, long wheelbase stroller with 40 litre shopping bag. 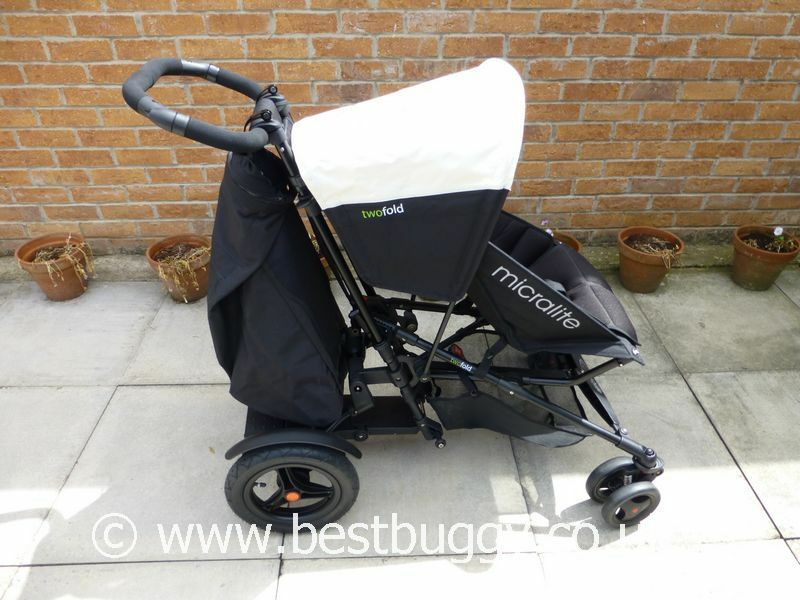 a two-seat, long wheelbase double stroller with either carrycot, seat or car seat in the front position. 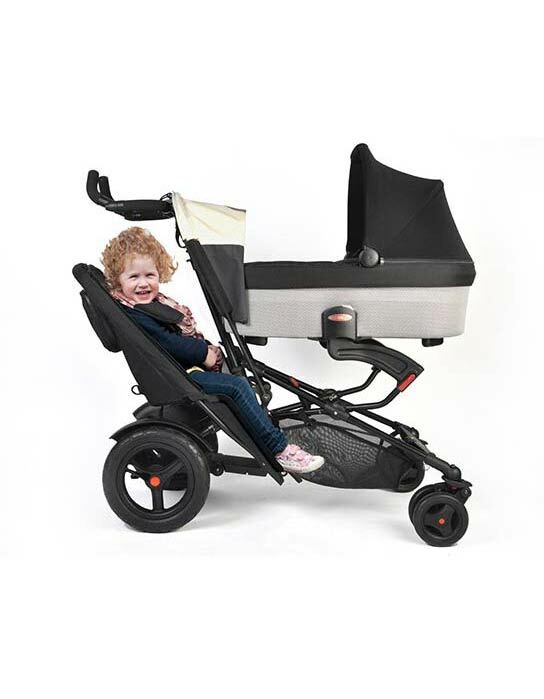 a one-seat, long wheelbase stroller with a stand on platform for an older toddler. 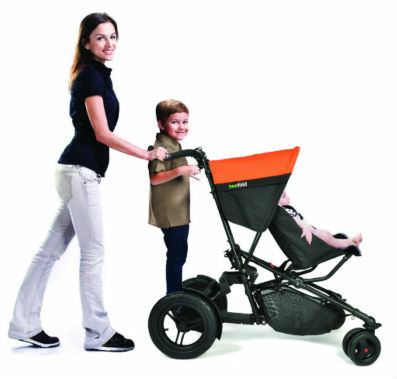 The chassis of the Twofold unlatches and cleverly slides out thus extending the wheelbase giving greater stability when the second seat or basket are needed. 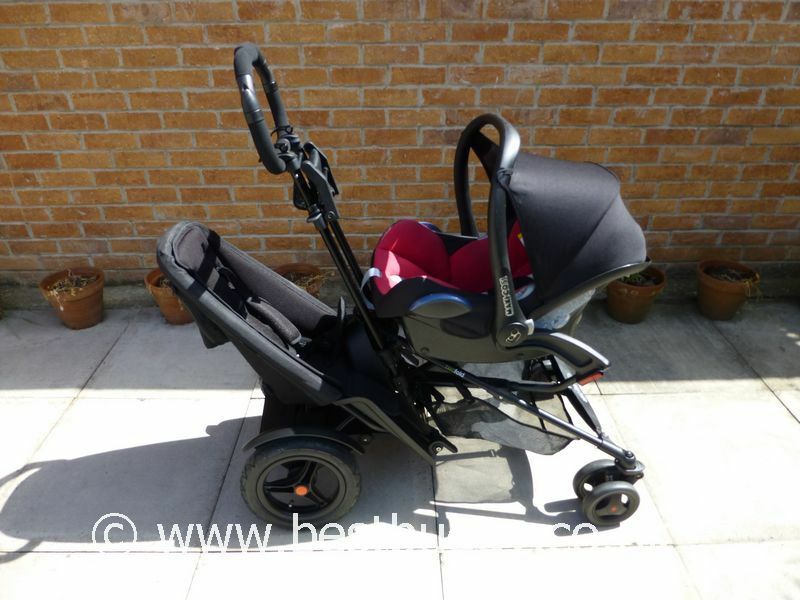 The second seat attaches behind the front seat and basket. 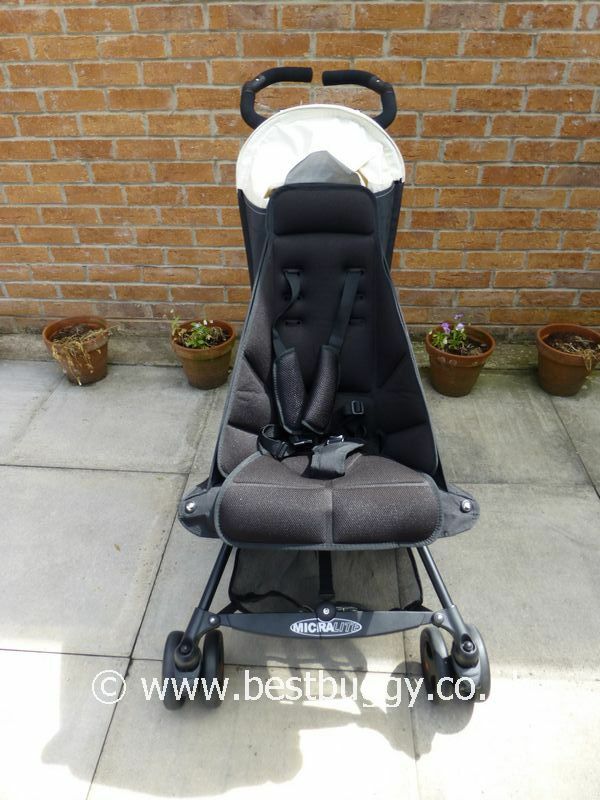 Both seats are suitable from 6 months old. 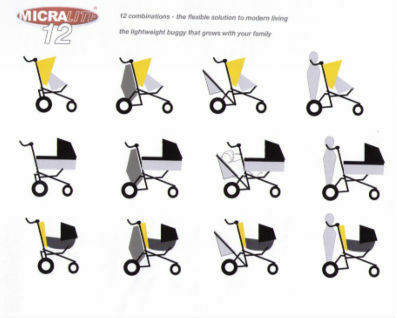 However, do note there is no recline on the rear seat, thus we would not recommend using it for a child who naps.